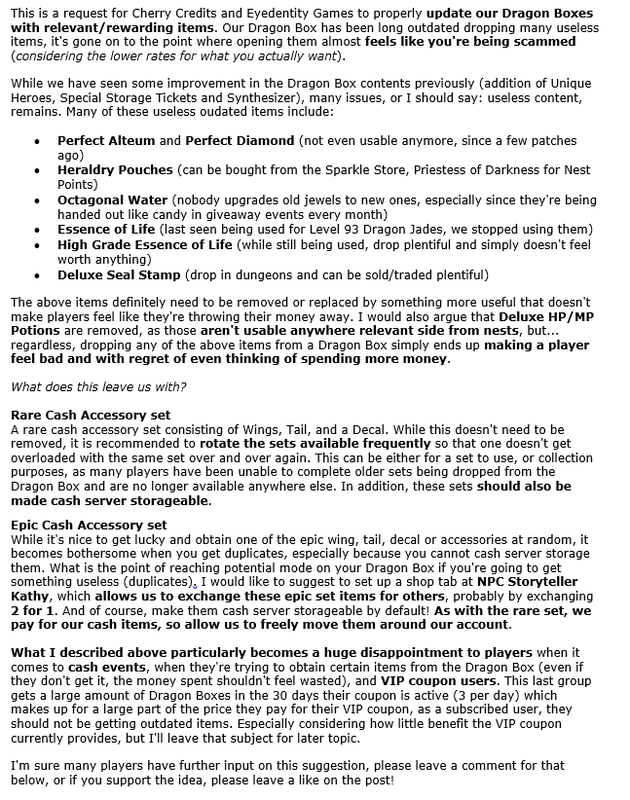 Update Dragon Boxes - all this outdated content is a scam! 4 users thanked Yami for this useful post. 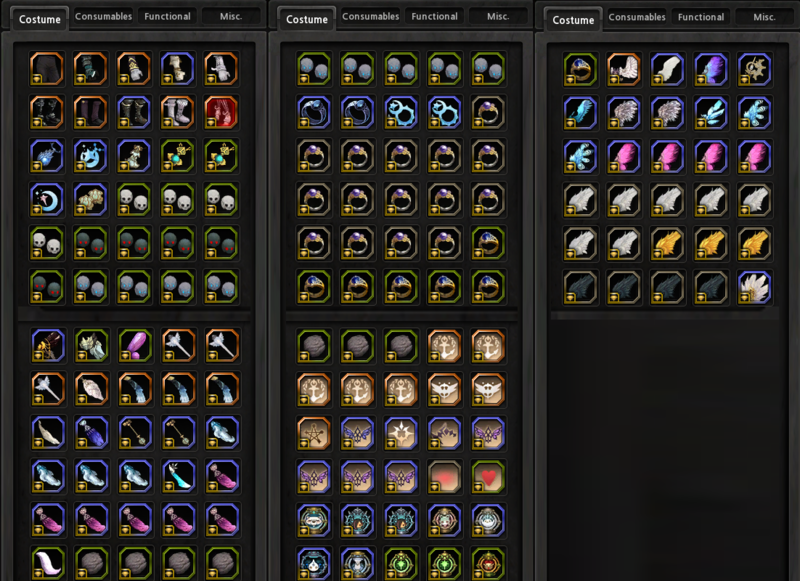 I have tons of duplicates among my cash accessories and they are totally useless since I can't do anything with them. It would be nice to exchange them for something else, or to dismantle them in order to get points that I can use somewhere else, maybe in a store. Not sure I understand your comment, but the above screen shot is not from a GM but was taken by a player, and there are many players like that. including myself. Supporting this idea, long term unfair thingy still not solved. how you could add such crap to those boxes especially when the highest % is exactly to get this crap. When you of course want to be fair with players... Not to just milk them, and we clearly have a problem here. Few items useful with extremely low chances, rest basically non-existant because you already have plenty of those after few tries of obtaining the desired item/items. Epic necklaces, earrings, rings, wings, tails, decals with lower stats than for example the best one you have. You are left with alot of useless copies and with being disappointed. - both epic and rare. or at least to lower negative feelings.